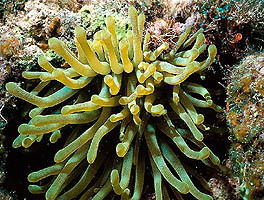 Giant Anemones are animals that often live in holes in Caribbean Reefs. Click here for a closeup of this unusual animal. Jellyfish are animals that live in the open ocean. 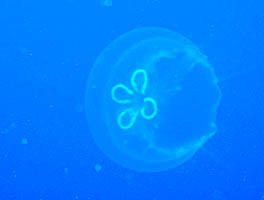 Click here to learn about this Moon Jelly.